which are bonded directly to the steelwork. 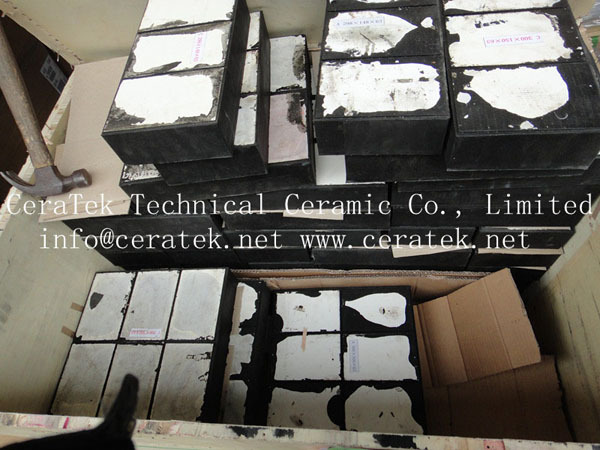 1) Outstanding wear-resistant performance: the working face of ceramic-rubber compound lining plate is high alumina ceramics, the hardness of which is second to diamond, so it has excellent wear-resistance. 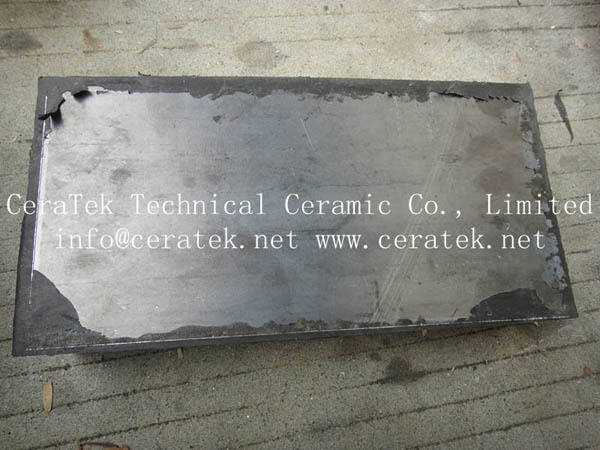 2) Optimum impact resistance: Compared with ordinary ceramic tiles, the Ceramic-rubber plate under the special process treatment changes the ceramic mechanism of easy breakage. With the characteristic of shock absorption of natural rubber, the impact-resistant performance of ceramic will be highly improved which is more than 10 times of ordinary ceramic tiles. 3) Effective noise reduction: excellent damping of natural rubber absorbs a great deal of vibration energy during shocking, and the flexible molecular chain within the natural rubber will be beneficial for damping, which greatly reduces the noise in transportation. Laboratory test indicates the value of noise reduction up to over 30dB. 4) Adjustable specification: the thickness of rubber and ceramic, the shape of ceramic-rubber plate can be adjusted accordingly to fit for the various conveying equipments. High pressure and heat and special glue and carefully handle during the vulcanizing process creates an incredible bond between rubber and ceramic. we can vary the thickness and formulation of our rubber liners to create custom systems for your installation. Our engineers can change the size, placement, and spacing (staggered or aligned) of ceramic cylinders or alumina ceramic tiles to meet the right impact level and abrasion resistance for your particular application.